We have welcomed our first guests in June 2011, when we have opened our doors for the first time. Hotel’s location is ideal for hotel guests, business meetings, organization of events, weddings, exploring the city and enjoying gourmet pleasures at the restaurant City Terasa. The modernly designed hotel has 66 rooms in two categories, Standard and Superior, and 12 suites of different types. Multipurpose rooms are designed for organizations of various events, both business and social. The event rooms accept up to 450 participants. 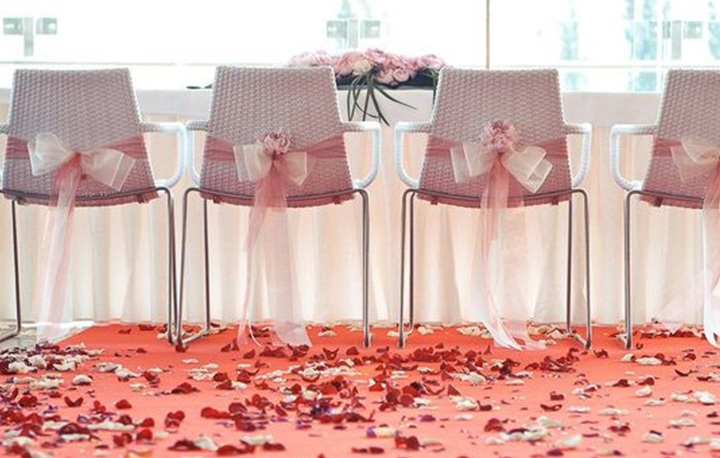 Our location with our beautiful terrace is an excellent choice for a wedding. In the lobby of the hotel we have a Lobby café and on the 5th floor is our restaurant and café City Terasa with a beautiful view of Drava river and Pohorje. You can leave your car in our underground garage and go by foot to discover Maribor, as the city center is only few meters away. The south-facing hotel is adjacent to the oldest part of the city, Lent, so a short walk through Lent leads you to the oldest vine in the world. Just across the bridge from the hotel is the largest shopping center in town, Europark. In our hotel, you will find the city on the palm of your hands. And we, the team of Hotel City Maribor****, will take care of your comfortable stay with our services. 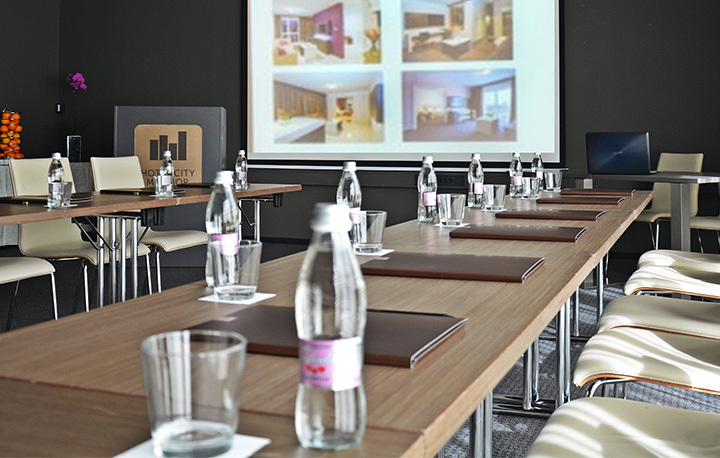 The conference facilities of Hotel City Maribor**** are the perfect choice for your business events, meetings, banquets, and various other events such as weddings. Our experienced hotel staff is available for you for organizing your special event. The Hotel City Maribor**** offers a Fitness center, free for all hotel guests, which is open 24/7. The excellent restaurant City Terasa, on the 5th floor of the hotel, will enchant you with a large terrace. Indulge in gourmet pleasures and pamper your taste buds with unique cooked food, a choice of top quality wines and a breathtaking view. On the 5th floor you will also find our café City Terasa where you can enjoy a cup of coffee, house sweets or cocktails, and relax with a beautiful view of river Drava and Pohorje. In hotel lobby is our Lobby Café, which is open 24/7 for hotel guests, and where you can enjoy a drink in the late hours of the day.